As well as buying Allotments No1 at Etsy http://www.etsy.com/shop/Moonkwaykstudio?ref=search_shop_redirect you can come to Tynemouth Market every weekend and buy your copy from a real person. Anne Proctor printmaker has her stall on the West concourse on Sundays and I’m there most Saturdays on t’other side, the East concourse. The Cullercoats based IRON Press celebrated its 40th anniversary this year with a five day festival at the coast. 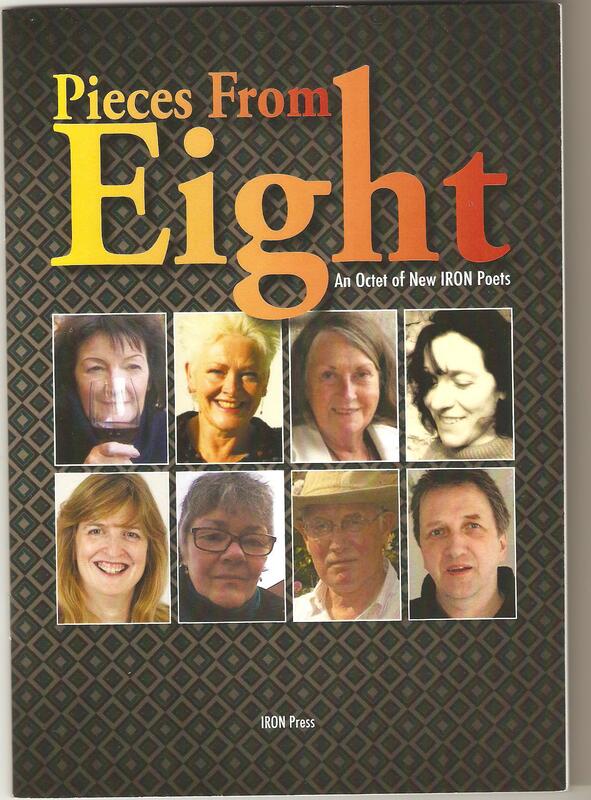 PIECES FROM EIGHT is a booklet published specially for the occasion and features eight NE poets new to IRON Press. The poets are: Chris Raetschus, Rowena Sommerville, Margaret Oliphant, Elaine Cusack, Vicky Arthurs, Amina Marix Evans, John Price and Arthur Haswell. The collection came out of six poetry workshops run at The Settle Down Cafe by the IRON Press founder and editor Peter Mortimer. On Tuesday October 15th Peter Mortimer will introduce the octet of talented bards at a special event in Ouseburn’s Star and Shadow Cinema. Allotments No 1, my first collaboration with printmaker Anne Proctor is now available via Etsy. You can search using many different key words including Elaine Cusack, Anne Proctor, Moonkwayk studio and Allotment No 1. 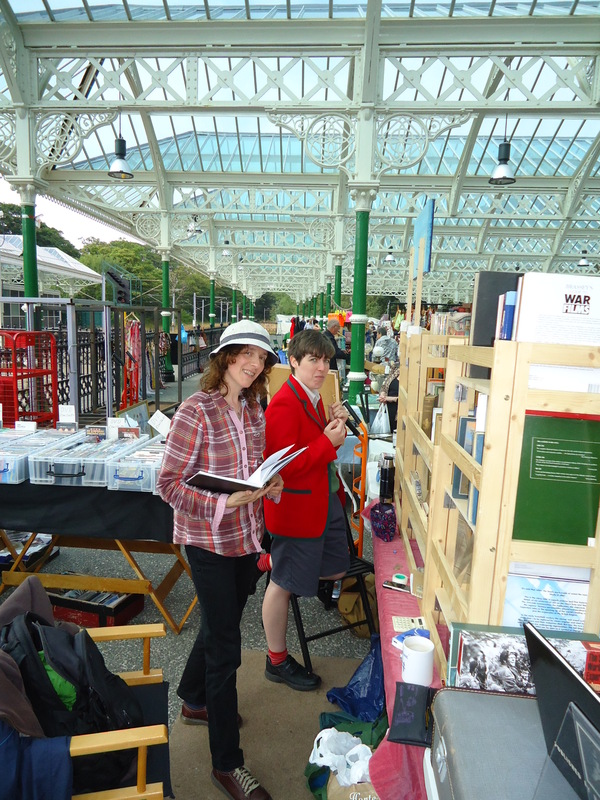 Copies of the book can still be bought from Tynemouth Market every Saturday and Sunday. Currently I have a stall most Saturdays and occasional Sundays but Anne has dropped back to Sundays only. Come and find us! 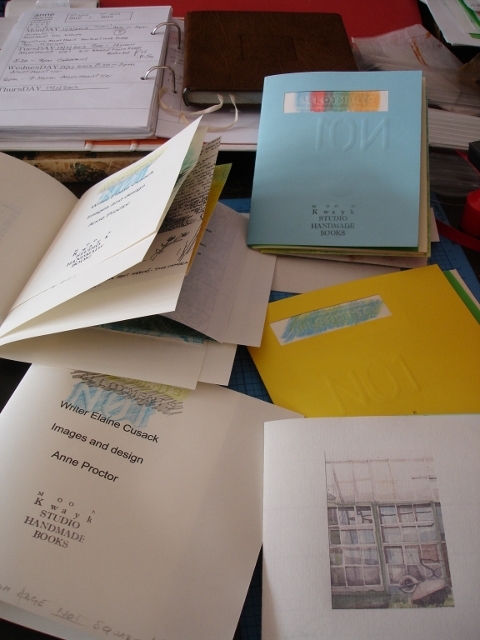 In the meantime our work is for sale at Chester Le Street’s Willynillie art hub http://willynilliecic.wordpress.com/ and Northern Print in Ouseburn. Anne and I’s second collaboration entitled Swifts Screech and Circle in the Afternoon Sun is currently in the creative oven. We’re sitting here clutching our timers, quietly confident it will be baked to perfection. Allotments No 1 is everywhere! Well not quite! It is mentioned on the most recent edition of Flavour, the food and drink radio show I started in Cambridge six years ago. The show started out on 209radio which became Cambridge105. I’m still chuffed to hear the theme tune I chose (Plantation Inn by the Markeys. fact fans) being used as intro and outro to this hour long show which is aired every fortnight and available as podcast from http://www.cambridge105.fm. The book also got a mention on Radio Newcastle yesterday plus there was an article in local paper, The Journal. Here’s a link http://www.thejournal.co.uk/news/north-east-news/little-seeds-creative-thinking-big-5581311 and yes I look a little like Bill and Ben the flowerpot men. The article brought allotment owner Colleen down to Tynemouth market to buy a copy and get it signed by Anne, bookbinder Jennifer Copping and myself. How delightful to connect with someone who also shares Anne and I’s view that allotments are Rectangles of Hope. More power to your spade, Colleen.